Key international players consider Luxembourg, one of the few AAA-rated countries, to be among the most attractive business centres in the world. With approximately 138 registered banking institutions, a successful investment fund industry with approximately 3,700 funds managing net assets of approximately €4,237 billion and a dynamic insurance sector, Luxembourg offers a full range of diversified and innovative financial services. Luxembourg is a parliamentary democracy headed by a constitutional monarch, the Grand Duke. The Grand Duke and the government (headed by the Prime Minister) exercise executive power, and legislative power is vested in the Chamber of Deputies, a unicameral legislature of 60 directly elected members. A second body, the Council of State, composed of 21 ordinary citizens appointed by the Grand Duke, advises the Chamber of Deputies on the drafting of legislation. The Constitution is the supreme law of Luxembourg.2 Luxembourg's legal system is based on civil law; a number of laws are based on French or Belgian legislation. Laws are enacted by the Chamber of Deputies and promulgated by the Grand Duke. The Constitution confers the Grand Duke with the power to adopt the necessary regulations and orders for the implementation of laws. However, the Grand Duke may not suspend laws or dispense their implementation. The Grand Duke can also authorise the government to make ministerial regulations in respect of limited technical issues. Certain public bodies have the power to adopt special regulations within their field of competence. These bodies must act within the limits that have been previously defined by the legislature. Administrative circulars offer guidance on the interpretation of laws, especially in tax law matters. Case law is not binding in Luxembourg; the law does not recognise the rule of precedent that applies in Anglo-Saxon legal systems. However, judges can refer to case law to found their decisions. In the absence of Luxembourg case law, judges may turn to Belgian, French or even German case law for tax law matters. The Luxembourg judicial system is divided into a judicial branch and an administrative branch. Alongside these two branches is the Constitutional Court, the purpose of which is to rule by way of judgment on the conformity of particular laws with the Constitution, except for those that sanction international treaties. The judicial branch is headed by the Supreme Court of Justice, which comprises the Court of Cassation, a Court of Appeal and a department of public prosecution. The Court of Cassation is primarily responsible for hearing cases that seek to overturn or set aside decisions given by the various benches of the Court of Appeal, and judgments by courts of last resort. The country is divided into two judicial districts and each has a district court. The district courts hand down decisions in ordinary law and hear all cases other than those falling expressly within the competence of another jurisdiction. Each is competent for appeals against judgments rendered by justices of the peace operating within that court's judicial district. The presidents of the district courts, or the magistrates appointed to them, hear interlocutory applications and render interim orders in urgent cases, both civil and commercial. appeals against administrative measures having a regulatory character, irrespective of the authority from which they emanate. Luxembourg's financial sector supervisory authority (CSSF)3 regulates the financial services sector. It is responsible for investigating possible wrongdoing, and bringing enforcement actions against credit institutions and professionals in the financial sector (PFS) for breaches of applicable law. 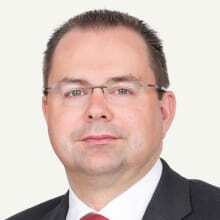 It has the widest powers to supervise and control Luxembourg credit institutions and PFS. The CSSF cooperates with foreign supervisory authorities on prudential supervision matters. Circulars and regulations issued by the CSSF complete the legislative framework of the Luxembourg financial sector. The CSSF also supervises the securities markets and receives complaints from investors. It is the competent authority for approving prospectuses that are compliant with Directive 2003/71/EC on prospectuses for securities, as amended by Directive 2010/73/EU (together, the Prospectus Directive), which was implemented in Luxembourg by an Act of 10 July 2005 on prospectuses for securities, as amended (the Prospectus Act).4 Furthermore, the CSSF monitors the compliance of issuers with their obligations arising under the Act dated 11 January 2008 on transparency obligations, as amended (the Transparency Act), and Regulation (EU) No. 596/2014 on market abuse (the Market Abuse Regulation), which has implemented certain provisions of the Market Abuse Regulation into Luxembourg law. Finally, the CSSF participates at a European Union and international level in negotiations concerning the financial sector, and coordinates the implementation of government initiatives and measures to bring about an orderly expansion of activities of the financial sector. The Central Bank of Luxembourg (BCL) has a dual role: as well as being the country's central bank, it is an integral part of the European System of Central Banks and the Eurosystem. The BCL is responsible for implementing the monetary policy in Luxembourg decided by the Governing Council of the European Central Bank (ECB) and, among others, for payment systems and clearing of settlement systems, cash operations and financial stability. The Luxembourg Finance Ministry has general competence over the financial services sector (including tax legislation and financial legislation). According to the Prospectus Act, no offer of transferable securities may be made to the public in Luxembourg without the prior publication of a prospectus approved by the CSSF or a competent foreign authority. Depending on the type of offer and the securities being offered, different regimes under the Prospectus Act apply. Part II of the Prospectus Act implements the provisions of the Prospectus Directive into Luxembourg law, whereas Part III, Chapter 1 of the Prospectus Act applies to simplified prospectuses, which must be published for public offers of securities not covered by Part II. The main difference between the two regimes is that only public offers made under Part II can benefit from the European passport for securities. Part III, Chapter 1 is used for public offers in Luxembourg only. Generally, a prospectus or a simplified prospectus must contain all the information that enables prospective investors to make an informed assessment of the contemplated investment. The contents and format of a Part II prospectus are determined by the European Commission Regulation (EC) No. 809/2004 dated 29 April 2004, as amended, among others, by the Commission Delegated Regulation (EU) No. 311/2012 and the Commission Delegated Regulation (EU) No. 486/2012 (together, Commission Regulation (EC) No. 809/2004). Part III prospectuses are drafted on the basis of Regulation No. 809/2004 if they are used for a public offer or on the basis of the rules and regulations (ROI) of the Luxembourg Stock Exchange (LuxSE) if they are used for an admission to trading. Any Part II prospectus must be drawn up in English, German, French or Luxembourgish (multi-language prospectuses are also generally accepted). The language of a document incorporated by reference does not need to be the same as that of the prospectus (however, the person applying for approval to 'passport' the prospectus must ensure compliance with the language regime of the host Member State) provided that the language of the document incorporated by reference is one of the four languages accepted by the Prospectus Act, and that the readability of the prospectus is not compromised. Part II of the Prospectus Act provides for exemptions from the obligation to publish a prospectus for certain offers.6 The obligation to publish a prospectus does not apply to offers to the public of certain types of securities (such as, under certain conditions, securities offered or allotted (or to be allotted) to existing or former directors or employees by their employer, whose securities are already admitted to trading on a regulated market or by an affiliated undertaking). As of 21 July 2019, Regulation (EU) 2017/1129 of 14 June 2017 on the prospectus to be published when securities are offered to the public or admitted to trading on a regulated market (the Prospectus Regulation) will repeal the Prospectus Directive and, to a large extent, replace Part II of the Prospectus Act. Certain provisions of the Prospectus Regulation are already applicable, such as the exemption from the obligation to produce a prospectus applicable to an offer of securities to the public with a total consideration in the European Union of less than €1 million, which shall be calculated over a period of 12 months. The bill of law 7328, which was lodged with the Luxembourg parliament on 29 June 2018, implements certain provisions of the Prospectus Regulation into Luxembourg law and amends the Prospectus Act in order adapt it to the requirements of the new Prospectus Regulation. The admission to trading of securities requires the prior publication of a prospectus in accordance with the Prospectus Act. The regime applicable for admissions to trading varies, to a great extent, according to the market on which the admission to trading is sought. Issuers can either request an admission to trading on the regulated market (within the meaning of Directive 2004/39/EC on markets in financial instruments (MiFID), which has been replaced by Directive 2014/65/EU of 15 May 2014 on markets in financial instruments (MiFID II)) of the LuxSE or the Euro MTF market. Depending on the types of securities for which an admission to trading on the regulated market is sought, Part II or Part III, Chapter 2 of the Prospectus Act is applicable. As has been seen, only prospectuses approved under Part II can benefit from the European passport. The competent authority for the approval of a Part II listing prospectus is the CSSF, whereas the LuxSE governs the approval of simplified prospectuses under Part III, Chapter 2 of the Prospectus Act. The Euro MTF market is the LuxSE's alternative market. It is not considered a regulated market in the sense of MiFID II. For admissions to trading on the Euro MTF market, Part IV of the Prospectus Act applies and essentially refers to the ROI as regards the relevant provisions for the content and format of the prospectus to be produced. A prospectus that is drafted in accordance with Regulation No. 809/2004, however, is also acceptable for a Euro MTF listing prospectus. Euro MTF prospectuses are approved by the LuxSE. The Euro MTF market is a multilateral trading facility (as defined in MiFID II) and not just a listing place. The main advantage for an issuer to seek admission to trading for its securities on the Euro MTF market is that the stringent disclosure, transparency and reporting obligations under the Transparency Act do not apply. However, the Market Abuse Regulation does apply to the Euro MTF market. The Euro MTF market is eligible for the Eurosystem operation (ECB) and eligible for investments made by Luxembourg investment funds (UCITS). In 2018, more than 35,000 securities were admitted to trading on both markets of the LuxSE. With more than 26,000 listed debt securities, it is the number one ranked stock exchange for international bond listings. AT the end of 2017, the LuxSE added a third listing venue – the Securities Official List (SOL). An admission to SOL is a pure listing without admission to trading. Listed securities will appear on the Official List of the LuxSE. Admission to SOL is subject to compliance with a specific rule book, which provides for lower requirements in terms of disclosure and documentation than the Prospectus Act or the Prospectus Regulation. In addition thereto, neither the Transparency Act nor the Market Abuse Regulation apply to SOL. The Luxembourg Act dated 6 April 2013 on dematerialised securities (the Dematerialisation Act) has modernised securities law by introducing a complete legal framework for dematerialised securities to keep pace with market developments. The Dematerialisation Act draws on the French, Swiss and Belgian regimes. However, in contrast to these regimes, the dematerialised form of securities will exist in addition to the traditional bearer and registered forms of securities. Dematerialised securities will thus constitute a third type of securities, and an issuer will be free to choose from the three. The Dematerialisation Act lays down the legal framework for the dematerialisation of securities, which are either equity or debt securities issued by Luxembourg joint-stock companies, or common funds or debt securities issued under Luxembourg law by foreign issuer. The Dematerialisation Act does not provide for compulsory dematerialisation but for compulsory conversion if an issuer so decides. Dematerialisation will be achieved by registration of the securities in an account held by a single body (a liquidation body or a central account keeper). The Dematerialisation Act is at the forefront in the field of dematerialisation as it has closely aligned the Luxembourg regime with the Unidroit Convention on Substantive Rules for Intermediated Securities, dated 9 October 2009, as well as, to a certain extent, the work of the European Commission in relation to a proposed securities law directive. The Luxembourg framework on dematerialisation offers greater flexibility and choice for issuers and market participants, increases the speed of transfers by eliminating operational complexities and the risks inherent in the handling of physical securities, and reduces settlement and custody costs. The Luxembourg Act on the Immobilisation of Bearer Shares and Units (the Immobilisation Act) came into force on 18 August 2014. The Immobilisation Act purports to adapt Luxembourg legislation to the recommendations of the Financial Action Task Force and the Global Forum on Transparency and Exchange of Information for Tax Purposes (the Global Forum) in terms of identification of holders of bearer shares and units. At any time, the availability of information regarding the identity of bearer shareholders or unit holders must be guaranteed while still preserving the confidentiality of that information towards third parties and other shareholders or unit holders. The new regime applies to bearer shares and units, irrespective of whether they are listed, issued by Luxembourg companies or contractual funds. Bearer shares and units must be deposited with a depositary established in Luxembourg that is subject to anti-money laundering requirements. A transitional period of six months is provided for bearer shares and units that were issued prior to the entry into force of the Immobilisation Act. Depositaries and directors and managers of companies and management companies of contractual funds, who fail to comply with the new requirements, may incur civil or criminal sanctions. The Immobilisation Act also applies to companies that have issued registered shares but the share register is not held at their registered office, or the share register does not comply with the requirements of the Luxembourg Act dated 10 August 1915 on Commercial Companies, as amended (the Companies Act). Criminal sanctions will be imposed in the event of a breach of the relevant legal provisions applying to share registers. The Companies Act has been modernised: a number of existing practices have been embedded into law and a series of new mechanisms and instruments have been introduced. From a capital markets perspective, the attractiveness of private limited liability companies as issuance vehicles has been increased by allowing them to carry out public offers of debt securities. Other requirements that gave raise to concern, such as the requirement for audit reports in the context of convertible debt securities issuances, have been removed. The Companies Act now also allows the issuance of shares with different nominal values, and provisions on tracker shares have been embedded into the Luxembourg Civil Code. Since 3 July 2016, the Market Abuse Regulation has replaced the initial market abuse act of 2006. Simultaneously, various implementing and regulatory technical standards adopted by the European Commission came into effect. The Market Abuse Regulation is complemented by Directive 2014/57/EU on criminal sanctions for market abuse (CSMAD). The CSMAD, with certain provisions of the Market Abuse Regulation, have been implemented into Luxembourg law by the Luxembourg Act of 23 December 2016 on market abuse. The most important change is the application of the market abuse rules to a wider scope of trading venues: those rules now also apply to multilateral trading facilities (MTF) and organised trading facilities as further defined in MiFID II. The Market Abuse Regulation prohibits any person who possesses inside information from using that information by acquiring or disposing of, or trying to acquire or dispose of, for his or her own account or for the account of a third party, either directly or indirectly, financial instruments to which that information relates. This also includes the cancellation or changing of an order placed before the person in question had the relevant information. The Market Abuse Regulation further requires issuers to make public any inside information that directly concerns them. Inside information means information of a precise nature, which has not been made public, relating, directly or indirectly, to one or more issuers or to one or more financial instruments, and which, if it were made public, would be likely to have a significant effect on the prices of those financial instruments or on the price of related derivative financial instruments. Information is likely to have a significant effect on price if it is information of a kind that a reasonable investor would be likely to use as part of the basis of his or her investment decisions. Information shall be deemed to be of a precise nature if it indicates a set of circumstances that exist or that may reasonably be expected to come into existence, or an event that has occurred or that may reasonably be expected to occur, where it is specific enough to enable a conclusion to be drawn as to the possible effect of that set of circumstances or event on the prices of the financial instruments. Inside information given to a specific third party need not be disclosed to the public if there is a duty of confidentiality between the issuer and that third party (imposed by law, regulation, statute or contract). The protection of investors requires public disclosure of inside information (unless the issuer is entitled to delay the disclosure of inside information) to be as fast and as synchronised as possible between all investors. A delayed disclosure of inside information must be notified to the relevant national competent authority. Inside information (which must be in French, English or German) must be notified through mechanisms that allow reasonably efficient broadcasting of that information to the public. Neither the Market Abuse Regulation nor its implementing technical standards provide a definitive set of mechanisms and means of publication to be used, but they contain a list of mandatory information to be included in any announcement of inside information. In addition, issuers are required under the Market Abuse Regulation to post all published inside information on their respective websites for a period of at least five years. Besides the prohibitions on insider dealing, the Market Abuse Regulation also incriminates market manipulation. Stabilisation measures, buy-back programmes as well as market soundings must also be analysed in light of the market abuse regime. The Transparency Act (which implemented European Directive 2004/109/EC dated 15 December 2004, as amended by Directive 2013/50/EU, on the harmonisation of transparency requirements into Luxembourg law) applies to issuers for which Luxembourg is the home Member State and whose securities are admitted to trading on a regulated market (thereby excluding the Euro MTF market). Directive 2013/50/EU of the European Parliament and of the Council of 22 October 2013 has been transposed into Luxembourg law by a law dated 10 May 2016, which extends the definition of 'issuer' to clarify that issuers of non-listed securities that are represented by depositary receipts admitted to trading on a regulated market also fall within the scope of the Transparency Act. Further, the law amends a number of definitions (including the definition of home Member State) and introduces new administrative sanctions. The rules on the disclosure of major shareholdings have been reinforced and the scope of financial instruments linked to shares that are covered by these requirements has been broadened. Finally, it is interesting to note that the quarterly financial reporting obligations and the requirement to notify new loan issuances have been removed. Issuers falling under the scope of the Transparency Act are mainly obliged to publish annual financial reports, half-yearly financial reports and, if applicable, an annual report on the payments made to governments. The Transparency Act 2008 also complements the Market Abuse Regulation by defining the methods of disclosure of inside information that falls within the definition of 'regulated information' for issuers having their securities listed on the regulated market. The above-mentioned publication requirements in respect of annual financial reports and half-yearly financial reports do not apply to an issuer that issues exclusively debt securities admitted to trading on a regulated market, the denomination per unit of which is at least €100,000 (or its equivalent in another currency). The Transparency Act distinguishes between regulated information and unregulated information. Issuers of securities admitted to trading on a regulated market are required to disclose, store and file 'regulated information' (as defined in CSSF Circular Letter 08/337, as amended). In other words, an issuer is required to publish regulated information, store the regulated information with the officially appointed mechanism (OAM) for the central storage of regulated information (in Luxembourg, the LuxSE has been appointed as OAM) and file the regulated information with the CSSF. Article 17 of the Transparency Act sets out additional ongoing disclosure requirements relating to general meetings and the exercise of voting rights that are applicable to an issuer of debt securities, and that aim at ensuring equal treatment for all holders of debt securities that are in the same position. Equal treatment is one of the two key legal aspects to be assessed by an issuer that intends to buy back its debt securities. Abiding by the provisions on market abuse is the second. Historically, the CSSF favoured an extensive interpretation of the principle of equal treatment. By reference to the very wording of the relevant legal provision (that is, equal treatment must be ensured 'in respect of all the rights attaching to those debt securities'), the CSSF considered that the right of a holder of debt securities to participate in an offer by, or on behalf of, the issuer to buy back the debt securities is, in principle, a 'right attaching to' the debt securities. The CSSF now adopts a narrower reading of the notion of equal treatment to bring it in line with the practice applicable on other relevant markets. In short, the CSSF considers that the words 'rights attaching to' debt securities do not include the right to receive an offer to buy the securities made by or on behalf of the issuer. Thus, an offer can lawfully be made to some but not all holders of a series of debt securities and the issuer may propose different terms to different investors. This possibility is also of importance for exchange offers, to which the CSSF's position also applies. Regulation (EU) No. 236/2012 of the European Parliament and of the Council of 14 March 2012 on short selling and certain aspects of credit default swaps (the Short Selling Regulation) is directly applicable in the Member States of the European Economic Area (EEA) (including Luxembourg). The Short Selling Regulation lays down a common regulatory framework for all EEA Member States with regard to the requirements relating to short selling and credit default swaps. In Luxembourg, the Short Selling Regulation is complemented by the Luxembourg Act dated 12 July 2013 on short selling of financial instruments and implementing the Short Selling Regulation (the Short Selling Act), and the CSSF Circular 12/548, as amended by the CSSF Circular 13/565. The Short Selling Regulation imposes (among other things) obligations on natural or legal persons to notify to the relevant competent authority (in Luxembourg, the CSSF) and, as applicable, disclose to the public net short positions in relation to the issued share capital of companies that have shares admitted to trading on a trading venue, and in relation to issued sovereign debt and uncovered positions in sovereign credit default swaps, each that reach or fall below the relevant notification thresholds specified in the Short Selling Regulation . the power to make public any sanction imposed by the CSSF (except where disclosure would seriously jeopardise the financial markets). The Luxembourg Act dated 5 August 2005 on financial collateral arrangements, as amended (the Collateral Act 2005), provides for an attractive legal framework for security interests, liberalised rules for creating and enforcing financial collateral arrangements, and protection from insolvency rules. It applies to any financial collateral arrangements and covers financial instruments in the widest sense as well as cash claims and receivables. The Collateral Act 2005 also provides for transfers of title by way of security and recognises the right of the pledgee to re-hypothecate pledged assets. It enables the pledgee to use and dispose of the pledged collateral. Contractual arrangements allowing for substitution and margin calls are expressly recognised by the Collateral Act 2005, and are protected in insolvency proceedings in which security interests granted during the pre-bankruptcy suspect period can be challenged. Finally, under the Collateral Act 2005, financial collateral arrangements are valid and enforceable even if entered into during the pre-bankruptcy suspect period. The Collateral Act 2005, which was amended in 2011 with a view to enhancing the attractiveness of Luxembourg as an international finance centre, confirms that the insolvency safe-harbour provisions also apply to foreign law-governed collateral arrangements entered into by a Luxembourg party, which are similar (but not necessarily identical) to a Luxembourg financial collateral arrangement. Furthermore, receivables pledges are validly created among the contracting parties and binding against third parties as from the date of entering into the pledge agreement. The Collateral Act 2005 also modernises the appropriation mechanism by allowing the collateral-taker to appropriate the pledged assets (at a price determined prior to or after the appropriation of the asset) and to direct a third party to proceed with the appropriation in lieu of the collateral-taker. According to the Collateral Act 2005, set-off between assets (financial instruments and cash claims) operated in the event of insolvency is valid and binding against third parties, administrators, insolvency receivers and liquidators, or other similar organs, irrespective of the maturity date, the subject matter or the currency of the assets, provided that set-off is made in respect of transactions that are covered by bilateral or multilateral set-off provisions between two or more parties. Articles 141 and 143 of the Luxembourg Act dated 18 December 2015 relating to, among others, the recovery, resolution and liquidation of credit institutions and certain investment firms, as amended (the BRR Act 2015) dealing with netting will come into play when a credit institution is a party to the relevant agreement and affects the enforceability of netting without prejudice to the application of Articles 66 and 69 of the BRR Act 2015.
any civil, criminal or judicial attachment or criminal confiscation, as well as purported assignment or other disposition of, or in respect of, such rights. Set-off made by reason of enforcement or conservatory measures or proceedings, including any of the measures and proceedings set out in points (a) and (b) above, is deemed to have occurred before any such measure or proceeding applies. With the exception of provisions on over-indebtedness, Luxembourg law provisions relating to bankruptcy, and Luxembourg and foreign provisions relating to reorganisation measures, liquidation proceedings, attachments, other situations of competition between creditors or other measures or proceedings set out in points (a) and (b) above, are not applicable to set-off contracts and do not affect the enforcement of such contracts. any restriction that is imposed by virtue of similar powers under the law of another Member State with a view to facilitating the resolution of an entity referred to under Article 1, Paragraph 2, sub-paragraph c), item iv), and sub-paragraph (d), of Directive 2002/47/EC of the European Parliament and of the Council dated 6 June 2002 on financial collateral arrangements, providing safeguards that are at least equivalent to the safeguards under Articles 61 to 70 of the BRR Act 2015. During the past few years, Luxembourg has seen a strong increase in high-yield bonds issued by Luxembourg finance vehicles and generally admitted to trading on the LuxSE. For structuring reasons, it is often not the parent entity of a group that issues the high-yield bonds but a dedicated Luxembourg special purpose finance vehicle that is a direct or indirect subsidiary of the parent entity. To strengthen the credit rating of the high-yield bonds, the issue is usually guaranteed by the parent and all or some of its subsidiaries. the prospectus includes in the risk factor section a brief description of the reasons explaining the omission of separate financial information for the guaranteeing subsidiaries. The LuxSE generally follows the CSSF approach when approving prospectuses for high-yield bonds but tends to apply a more flexible approach regarding the above thresholds, provided that the interests of the investors are adequately protected, in the opinion of the LuxSE. The Luxembourg Act dated 5 April 1993 on the financial sector, as amended (the Banking Act 1993) has been amended to implement the CRD IV package into Luxembourg law. The CSSF, as national competent authority for the supervision of capital requirements that are applicable to credit institutions and PFS, is still in the process of updating its amended Circular 07/290 applicable to Luxembourg investment firms and Luxembourg branches of non-EU investment firms. Since 1 January 2014, Regulation (EU) No. 575/2013 of the European Parliament and the Council dated 26 June 2013 on prudential requirements for credit institutions and investment firms and amending Regulation (EU) No. 648/2012 (CRR), with its implementing and delegated Commission regulations, is directly applicable in all EU Member States. In the event of conflict between the provisions of the CRR and the provisions of the national legislation, the provisions of the CRR prevail. CSSF Regulation No. 18-03 (repealing CSSF Regulation No. 14-01) on the implementation of certain discretions contained in Regulation (EU) No. 575/2013 deals with the discretions left under the CRR to the national legislation. In addition, CSSF Circular 15/618 implements the EBA Guidelines on materiality, proprietary and confidentiality and on disclosure frequency under Article 432 Paragraph 1, Article 432 Paragraph 2, and Article 433 of the CRR, respectively. CSSF Regulation No. 16-01 (on the automatic recognition of countercyclical capital buffer rates during the transitional period). In addition CSSF Circular 15/620, CSSF Circular 15/622 and CSSF Circular 15/625 provide further details on CRD IV as implemented by the Luxembourg Act dated 23 July 2015. Derivative contracts are regulated in Luxembourg under Regulation (EU) No. 648/2012 of the European Parliament and of the Council of 4 July 2012 on OTC derivatives, central counterparties and trade repositories (the European Market Infrastructure Regulation (EMIR)) and its five implementing and 24 delegated Commission regulations, which are legally binding and directly applicable in all Member States. EMIR is further complemented by CSSF Circular 13/557 of 23 January 2013, which merely clarifies certain provisions of EMIR, and CSSF Circular 15/615 clarifying the MiFID definitions of 'commodity derivatives' used in EMIR. The purpose of EMIR is to introduce new requirements to improve transparency and reduce the risks associated with the derivatives market. As such, EMIR applies to all financial counterparties (FCs) and non-financial counterparties (NFCs) established in the European Union that enter into derivative contracts. It applies indirectly to non-European counterparties trading with European counterparties. All FCs, and NFCs above a certain clearing threshold have to clear all over-the-counter (OTC) derivative contracts with a central counterparty (CCP) authorised or recognised under EMIR pertaining to a class of OTC derivatives that has been declared subject to the clearing obligation by the European Commission. Contracts not cleared by a CCP are subject to operational risk management requirements and bilateral collateral requirements. EMIR establishes common organisational, conduct-of-business and prudential standards for CCPs, and organisational and conduct-of-business standards for trade repositories. EMIR also requires all FCs and NFCs (including those below the clearing threshold) to report details of their derivative contracts, whether traded OTC or not, to a trade repository. In a case where the CSSF refused to approve the appointment of an individual as a bank manager, who subsequently claimed damages from the CSSF on the basis of the CSSF's wrongdoing, the Constitutional Court held in a judgment dated 1 April 2011 that the statutory in tort liability regime applicable to the CSSF, which presupposes a gross negligence by the CSSF and deviates from the ordinary civil liability, which allows damages to be sought for wrongdoing, is not contrary to the constitutional principle of equality before the law. Therefore, a plaintiff must establish that the damage that he or she has suffered is caused by the CSSF's gross negligence to seek the CSSF's liability and to claim damages. Luxembourg courts consistently confirm the efficiency of Luxembourg financial collateral arrangements established by the Collateral Act 2005. For instance, it was held that (1) a (Luxembourg) criminal attachment over pledged assets does not prevent the effectiveness of a Luxembourg law governed pledge subject to the Collateral Act 2005 and its enforcement by the pledgee, (2) courts are not permitted to impose provisional measures that interfere with the enforcement of financial collateral arrangements, (3) a pledge over shares in a Luxembourg bank account is enforceable, despite concurrent and inconsistent Spanish court proceedings that purported to suspend the pledge, and (4) the enforcement of a pledge over the shares in a company upon the occurrence of an enforcement event specified in the pledge agreement is possible notwithstanding that the secured debt was not yet due and that the creditor had not claimed repayment of the secured debt. LuxCos carrying out a financial activity are assessed on the basis of an arm's-length profit margin. This profit is expressed as a percentage of a LuxCo's indebtedness. Thus, a LuxCo will always realise an arm's-length profit on the financial transactions entered into, in light of the functions performed and the risks taken, and in accordance with general market conditions. The Luxembourg Act dated 23 December 2016 clarified the concept of the arm's-length principle by introducing a new Article 56bis into Luxembourg's income tax law.13 In addition, the Luxembourg direct tax administration issued Circular LIR 56/1 – 56bis/1 (the Circular), replacing Circulars LIR 164/2 and 164/2bis, which sets the Luxembourg tax framework for intra-group financing transactions. The clarification in Luxembourg of formal transfer-pricing rules for intra-group financial transactions was expected by the financial sector and strengthens the overall tax transparency of Luxembourg. The Circular endorses the Transfer Pricing Guidelines published by the Organisation for Economic Co-operation and Development (OECD) and keeps Luxembourg in line with international standards in the area of transfer pricing. In addition, the Circular clarifies the process for applying for an advance pricing agreement (APA). In this context, it should be noted that the general legal framework and the procedural formalities applying to APA filings are set out in the Luxembourg general tax law14 and a Grand Ducal regulation.15 If a LuxCo enters into an intra-group financing transaction coming within the scope of the Circular, it has to comply with a number of requirements set out in the Circular (such as substance requirements, minimum equity at risk, transfer-pricing report, etc.). The Circular also confirms that, as of 1 January 2017, the Luxembourg tax administration would no longer be bound by APAs issued for the tax years after 2016, which were based on rules applicable before the introduction of the new Article 56bis into the Luxembourg income tax law. The obligations assumed by a LuxSeCo towards its investors (holding equity or debt securities), and any other creditors, are considered as tax-deductible expenses. Therefore, a financial transaction entered into by a LuxSeCo, if properly structured, should not give rise to any corporation taxes.16 The Luxembourg tax administration does not require a LuxSeCo to realise a minimum profit margin. Management services rendered to LuxSeCos are exempt from value added tax. This is not the case for management services that are provided to LuxCos. Both LuxCos and LuxSeCos benefit from the wide network of tax treaties entered into by Luxembourg from a Luxembourg standpoint. In the field of tax evasion and tax avoidance, Luxembourg ensures compliance with its European and international engagements. In this context, Luxembourg signed the OECD's Multilateral Convention to Implement Tax Treaty-Related Measures to Prevent BEPS17 on 7 June 2017, which is expected to be ratified in 2018. Meanwhile, Luxembourg's government has also submitted to parliament a bill18 implementing into Luxembourg tax law the provisions of the anti-tax avoidance directive.19 Both instruments will affect international tax planning and structuring in Luxembourg. Insolvency situations are governed by a set of rules that have been elaborated by courts and legal literature around the cardinal principle of pari passu ranking of creditors. Under the applicable Luxembourg law, it is possible for a company to be insolvent without necessarily being bankrupt. If a company fails to meet the two cumulative tests of bankruptcy – the cessation of payments and the loss of creditworthiness – it is not deemed bankrupt. The judgment declaring the bankruptcy, or a subsequent judgment issued by the court, usually specifies a period not exceeding six months before the day of the judgment declaring the bankruptcy. During this period, which is commonly referred to as the suspect period, the debtor is deemed to have already been unable to pay its debts generally, or to obtain further credit from its creditors or third parties. Payments made, as well as other transactions concluded or performed, during the suspect period, and specific payments and transactions during the 10 days before the commencement of that period, are subject to cancellation by the Luxembourg court upon proceedings instituted by the Luxembourg insolvency or bankruptcy receiver. As a matter of principle, bankruptcy judgments do not result in automatic termination of contracts, except for intuitu personae contracts (i.e., contracts for which the identity of the counterparty or its solvency are crucial). Contracts, therefore, continue to exist in full force unless the insolvency receiver chooses to terminate them. Termination by reason of insolvency may also be effectively provided for in a contract. Once a company has been declared bankrupt, unsecured creditors and the creditors with a general priority right are no longer permitted to take any action based on title to movables and immovables, nor any enforcement action against the bankrupt company's assets. Actions may only be exercised against the insolvency receiver. creditors of new debts, contracted by the insolvency receiver, may still initiate proceedings to have their rights recognised and enforced. financial institutions, enterprises and parent companies that are covered by Part I of the BRR Act 2015 in the case of application of the resolutions tools and powers set out in Part I of the BRR Act 2015. The institutions and entities referred to in points (a) to (c) above are herein referred to as BRR entities. Articles 120 et seq. of the BRR Act 2015 provide for special reprieve from payment and liquidation regimes for BRR Entities. Reprieve from payment may be applied for if the global performance of an undertaking's business is compromised, in the event that the undertaking is unable to obtain further credit or fresh monies or no longer has any liquidity, whether there is a cessation of payments, or in the event that a provisional decision has been taken to withdraw the undertaking's licence. In these circumstances, the CSSF may request the court to apply reprieve from payment proceedings to the undertaking. The reprieve from payment cannot exceed six months and the court will lay down the terms and conditions thereof, including the appointment of one or more persons responsible for managing the reorganisation measures and supervising the undertaking's activities. A petition for liquidation may be filed either by the Luxembourg public prosecutor or the CSSF. This will typically occur in a situation where the reprieve from payment cannot cure the undertaking's difficult financial situation, where the undertaking's financial situation is so serious that it can no longer satisfy its creditors, or where the undertaking's licence has been permanently withdrawn. The court will appoint a judge-commissioner and one or more liquidators. The court may decide to apply bankruptcy rules in respect of the liquidation and, accordingly, fix the suspect period (which may date back no more than six months before the date of filing the application for reprieve from payment). The court, the judge-commissioner and the liquidators may decide to vary the mode of liquidation initially agreed upon. The liquidation procedure is terminated when the court has examined the documents submitted to it by the liquidators and the documents have been reviewed by one or more commissioners. Voluntary liquidation by an entity is possible only if the CSSF has been notified thereof by the undertaking one month before notice is given to hold the extraordinary general meeting of the shareholders called to consider the voluntary liquidation. Council Regulation (EC) No. 1346/2000 of 29 May 2000 on insolvency proceedings, as amended (the Original EU Insolvency Regulation) has been replaced by Regulation (EU) 2015/848 of the European Parliament and of the Council of 20 May 2015 on insolvency proceedings (recast), as amended (the Recast EU Insolvency Regulation)./20 The Recast EU Insolvency Regulation applies in Luxembourg (among others) to commercial companies other than (1) credit institutions, (2) insurance undertakings and (3) investment firms and other firms, institutions or undertakings covered by Directive 2001/24/EC of the European Parliament and of the Council of 4 April 2001 on the reorganisation and winding-up of credit institutions21 and establishes common rules on cross-border insolvency proceedings based on principles of mutual recognition and cooperation. In broad terms, the Recast EU Insolvency Regulation provides that main insolvency proceedings are to be opened in the Member State where the debtor has the centre of its main interests (COMI). These proceedings will have universal scope and encompass a debtor's assets throughout the European Union (subject to secondary proceedings opened in one or more Member States, although the proceedings will be limited to the assets in that state and will run in parallel to the main proceedings). A Luxembourg party will be subject, in principle, to Luxembourg insolvency proceedings if it has its COMI in Luxembourg. The COMI is presumed, in the case of a company or legal person, to be the place of its registered office. The LuxSE was incorporated on 5 April 1928 as a société anonyme and the first trading session took place on 6 May 1929; in November 2000, it entered into a cooperation agreement with Euronext. The LuxSE is managed by a board of managers appointed by the general meeting of the LuxSE's shareholders. The LuxSE is the competent body for all decisions and operations relating to the admission of securities, their suspension, withdrawal and delisting, the maintenance of its official list, and for the transfer of securities from one market to another and for all the continuing obligations of issuers. It is the operator of the regulated market denominated LuxSE and of the Euro MTF market. The main activities of the LuxSE are listing, trading, distribution of financial reports for the investment funds industry, trade reporting and data vending. The LuxSE primarily specialises in the issue of international bonds (for which it is ranked first in Europe), with more than 26,000 debt securities listed as of 2018. The LuxSE maintains a dominant position in European bond issues, with the majority of all cross-border securities in Europe being listed in Luxembourg. More than 60 countries list at least some of their sovereign debt in Luxembourg, while Luxembourg is also a market for debt from large organisations such as the European Bank for Reconstruction and Development, the European Investment Bank, the European Union and the World Bank. The LuxSE's main equity index is called the LuxX Index, which is a weighted index of the 10 most valuable listed stocks by free-floated market capitalisation. Clearstream Banking, SA is one of the major European clearing houses through which more than 2,500 banks, financial institutions and central banks worldwide exchange financial instruments. It is wholly owned by Clearstream International SA, which is a wholly owned subsidiary of the Deutsche Börse Group. Clearstream Banking ensures that cash and securities are promptly and effectively delivered between trading parties. It also manages, administers and is responsible for the safekeeping of the securities that it holds on behalf of its customers. More than 300,000 domestic and internationally traded bonds, equities and investment funds are currently deposited with Clearstream Banking. It settles more than 250,000 transactions daily and is active in 50 markets. Clearstream Banking is often described as a bank for banks. In short, its duty is to record transactions between the accounts of different participants in Clearstream Banking, and use that data to calculate the relative financial positions of the participants in relation to each other. LuxCSD, a new central securities depository for Luxembourg, is jointly (50:50) owned by the BCL and Clearstream Banking. LuxCSD provides the financial community with central bank money settlement services as well as issuance and custody services for a wide range of securities, including investment funds. LuxCSD was designated a securities settlement system by the BCL, which is a requirement to operate under the protection of the Settlement Finality Directive, and has received ECB approval for its Securities Settlement System (SSS) being eligible for use in the collateralisation of Eurosystem credit operations. There are currently no Luxembourg-based rating agencies. The Luxembourg Act dated 27 July 2003 relating to trust and fiduciary contracts, as amended, recognises trusts that are created in accordance with the Convention on the Law Applicable to Trusts and on their recognition made at The Hague on 1 July 1985 and that are legal, valid, binding and enforceable under the law applicable to the trusts. In adopting the Securitisation Act 2004, Luxembourg has given itself one of the most favourable and advanced pieces of European legislation for securitisation and structured finance transactions. According to the Securitisation Act 2004, securitisation means a transaction by which a Luxembourg securitisation undertaking (in the form of a LuxSeCo or a fund managed by a management company) acquires or purchases risks relating to certain claims, assets or obligations assumed by third parties, and finances that acquisition or purchase by the issue of securities, the return on which is linked to these risks. The Securitisation Act 2004 distinguishes between regulated and unregulated securitisation undertakings. A securitisation undertaking must be authorised by the CSSF and must obtain a licence if it issues securities to the public continuously (these two criteria applying cumulatively). Both regulated and unregulated securitisation undertakings benefit from all the provisions of the Securitisation Act 2004. A securitisation undertaking must mainly be financed by the issue of instruments (be it equity securities or debt securities) that qualify as securities under their governing law. The Securitisation Act 2004 does not contain restrictions as regards the claims, assets or obligations that may be securitised. Securitisable assets may relate to domestic or foreign, movable or immovable, future or present, tangible or intangible claims, assets or obligations. It is also accepted that a securitisation undertaking may, under certain conditions, grant loans directly. Very advantageous provisions for the securitisation of claims have been included in the Act. To enable the securitisation of undrawn loans or loans granted by the securitisation undertaking itself, the Banking Act 1993 exempts such transactions from a banking licence requirement. Furthermore, transactions that fall within the scope of the application of the Securitisation Act 2004 (such as credit default swaps) do not constitute insurance activities that are subject to Luxembourg insurance legislation. The Securitisation Act 2004 allows the board of directors of a securitisation undertaking to set up separate ring-fenced compartments. Each compartment forms an independent, separate and distinct part of the securitisation undertaking's estate and is segregated from all other compartments of the securitisation undertaking. Investors, irrespective of whether they hold equity or debt securities, will only have recourse to the assets encompassed by the compartment to which the securities they hold have been allocated; they have no recourse against the assets making up other compartments. In the relationship between the investors, each compartment is treated as a separate entity (unless otherwise provided for in the relevant issue documentation). The compartment structure is one of the most attractive features of the Securitisation Act 2004, as it allows the use of the same issuance vehicle for numerous transactions without the investors running the risk of being materially adversely affected by other transactions carried out by the securitisation undertaking. This feature allows securitisation transactions to be structured in a very cost-efficient way without burdensome administrative hurdles. It is important to note that there is no risk-spreading requirement for compartments. It is hence possible to isolate each asset held by the securitisation undertaking in a separate compartment. The Securitisation Act 2004 also expressly recognises the validity of limited recourse, subordination, non-seizure and non-petition provisions. Rating agencies are very comfortable with transactions structured under the Securitisation Act 2004 as legal counsel can usually issue clean legal opinions. From a tax perspective, there is full tax neutrality for securitisation undertakings (for further information, see Section II.iv). The CSSF has published an FAQ document setting out guidelines regarding transactions that a securitisation undertaking may enter into. Although these guidelines only apply to securitisation undertakings regulated by the CSSF, the tax administration tends to apply these guidelines to unregulated securitisation undertakings as well to decide whether their transactions qualify as securitisation transactions. The CSSF has confirmed in the FAQ, by reference to a FAQ document published by the European Commission on 25 March 2013,22 that an entity that exclusively issues debt instruments does not constitute an alternative investment fund (AIF) and hence does not fall within the ambit of Directive 2011/61/EU on alternative investment fund managers (AIFMD). In addition, according to the CSSF, securitisation undertakings issuing structured products providing a synthetic exposure to assets (for instance, shares, indices, commodities) based on a set formula, and that acquire underlying assets or enter into swap arrangements only with a view to hedging their payment obligations with regard to investors in the structured products, may, subject to the criteria set out in guidance issued by the European Securities and Markets Authority (ESMA), be considered as not being managed according to an investment policy and would hence fall outside the scope of the AIFMD. It is interesting to note that an email address23 has been created to discuss queries concerning the Securitisation Act 2004 with the CSSF. At the European level, Regulation (EU) 2017/2402 of 12 December 2017 laying down a general framework for securitisation and creating a specific framework for simple, transparent and standardised securitisation (the STS Regulation) sets common rules on securitisation and creates a harmonised set of foundation criteria for 'simple, transparent and standardised' securitisations. The Bill of Law 7349 intends to implement provisions of the STS Regulation, among other things, into Luxembourg law. However, the STS Regulation and its implementing measures will have no effect on securitisation structures regulated under the Securitisation Act 2004 and falling outside the very limited scope of the STS Regulation. The rules of the STS Regulation are indeed limited to tranched securitisation structures that repackage credit risks (as further defined in the STS Regulation). A covered bond is a debt security issued by a covered bond bank and guaranteed by a cover pool specifically allocated to these securities. To date, the issuance of covered bonds is restricted to covered bond banks, which must limit their principal activities to the granting of loans that will be specifically secured and that will be refinanced by way of issuing covered bonds. Other activities may be performed only on an ancillary basis. Covered bond banks are subject to the prudential supervision of the ECB or, as applicable, the CSSF and the specific supervision of an approved special statutory auditor appointed by the CSSF upon recommendation by the covered bond bank that 'supervises' the coverage assets in respect of covered bonds. since early 2018, green covered bonds. These new bonds (also known as renewable energy covered bonds) are guaranteed by rights in assets or securities linked to renewable energy, which include all energy produced from non-fossil renewable sources (wind energy, solar energy, thermal, geothermal, hydrothermal and marine energy (i.e., energy produced from non-fossil renewable sources). Bonds and other similar debt instruments issued by credit institutions established in a Member State of the EU, the EEA or the OECD, or in a non-OECD state that fulfils certain credit rating criteria, and that are secured by claims against public sector entities, by rights in rem over real estate, movable property, movable or immovable assets generating renewable energy, rights of substitution in essential project contracts or claims against or debt securities issued by cooperative banks may, subject to certain conditions, also serve as coverage assets. In addition, the coverage assets may encompass bonds or other debt securities issued by a securitisation undertaking and derivatives entered into for hedging purposes only (under certain circumstances). Covered bond banks benefit from a derogation in the bankruptcy legislation whereby creditors have direct access to a bank's assets in the event of insolvency. The coverage assets may not be attached or seized by creditors of the covered bond bank other than the holders of the covered bonds. Luxembourg covered bond banks may be subject to reprieve from payment or liquidation proceedings under the Banking Act 1993. From the commencement of any of these proceedings, one or more ad hoc managers appointed by the district court will manage the outstanding covered bonds and the coverage assets. The covered bonds and the corresponding coverage assets will not be affected by the above proceedings, in that the coverage assets underlying and securing covered bonds will be segregated from all other assets and liabilities of the covered bond bank. Reprieve from payment proceedings may also be opened in respect of any of the estate compartments established for each category or type of covered bond. The success of the Luxembourg covered bond regime is based on different factors. First, given the international dimension of the Luxembourg covered bond framework, Luxembourg covered bond banks may lend to borrowers in all OECD countries. Second, Luxembourg covered bond banks may not only lend to states and regional entities but also to public undertakings where a state, regional or local authority exercises a direct or indirect influence. This is important, because it means that the Luxembourg covered bond banks can reach a different but very lucrative segment in the world of public finance. As a result, a Luxembourg covered bond bank may practise an international diversification policy, with the result that Luxembourg covered bonds are less vulnerable to the risk of downgrading of sovereign ratings. Cover pools in Luxembourg are thus very dynamic and can be directed to target risk minimisation. The Act of 12 July 2013 (which implements the AIFMD) has modernised the Luxembourg limited partnership regime by reference to the Anglo-Saxon limited partnership, which is a popular investment vehicle for structuring venture capital or private equity investments. There are three types of partnerships in Luxembourg: the common limited partnership (CLP), an intuitu personae partnership with legal personality; the newly introduced special limited partnerships (SLP), an intuitu personae partnership without legal personality; and the partnership limited by shares (SCA), a joint-stock company with partnership features. Only technical adjustments have been made to the SCA regime as the SCA has already benefited from an attractive regime with respect to the level of protection and control granted to the initiator of the structure. The SCA has already been widely used in investment structures. As for the regime applicable to CLPs, it has been thoroughly overhauled to encourage the use of this type of investment vehicle. Furthermore, the new type of investment vehicle, the SLP benefits from a favourable structural and tax regime and is subject to few statutory provisions. Most of its features may be freely determined in the limited partnership agreement entered into between the unlimited partners and the limited partners. By revamping its partnerships regime to address the current needs of market players, Luxembourg has further strengthened its position as one of the top European jurisdictions for domiciling investment structures. The Luxembourg government proposes to introduce the notion of a trust similar to the English trust or the Dutch stichting into the Luxembourg legal framework with a view to strengthen, among other things, the Luxembourg wealth management sector. Discussions inspired by the works of the Haut Comité de la Place Financière (an advisory body to the government in matters concerning the financial sector) are currently under way at a national level. the amendment of certain specific provisions of the bankruptcy procedure with a view to its modernisation and abolishing certain obsolete insolvency procedures (e.g., controlled management and reprieve from payment) which are not (or very rarely) used in practice. We continue to live in challenging times. The financial crisis has changed first into an economic recession and then into a public finance crisis. Although one can see on the horizon signs of recovery for an increasing number of countries, the global economy remains fragile for various reasons (including the political instability in the Middle East and the slow-down of the economies of the BRIC countries and the Next Eleven countries). International bodies such as the IMF, the FATF, the OECD and the European authorities want to set aside the competitive distortions that result from a regulatory playing field that is not level, and try to eradicate weaknesses in regulation and supervision that might adversely affect the stability of the international financial systems, by moving towards a single rule book. The financial sector plays a key part in Luxembourg's economy, and the Luxembourg authorities (especially the CSSF) strive to find the right balance between increased supervision and the need for sufficient manoeuvring room to allow the financial sector to breathe and to develop. The authorities recognise that the trend is towards a common supervisory culture and a harmonised application of a single rule book that deprives them of large parts of their flexibility in the regulation and supervision of the financial sector. To maintain the attractiveness of Luxembourg in a context where the regulatory framework becomes more and more harmonised, there are clear signals that the authorities want to differentiate themselves from their foreign counterparts by quality of service, responsiveness and approachability. They are putting a particular focus on maintaining Luxembourg's role as (1) the leading international renminbi (Chinese currency) centre in the euro area, with now six major Chinese banks having established their European headquarters in Luxembourg, and (2) one of the leading Islamic finance centres in Europe. Further, the Ministry of Finance has relaunched the Haut Comité de la Place Financière to create an institutionalised platform for the exchange of information between key stakeholders of the financial markets and the government, with a view to ensuring that Luxembourg stays at the forefront of economic and financial developments. Several working groups have been set up by the Haut Comité de la Place Financière to modernise Luxembourg's legal framework (including the banking, fund, fintech and securitisation legislation) to respond to the needs of the markets and their players. Since the Brexit vote, many UK-based financial actors have been looking for alternative locations to establish their operations. The key advantages of Luxembourg include the continued affirmation of an AAA rating for long-term and short-term sovereign credit, sound public finances, a rapid regulatory process, the business friendly attitude of the authorities, the leading position of the Luxembourg investment fund industry in Europe, a large network of double taxation treaties, efficient immigration procedures and recognition as an innovative hub for fintech. These are the features that make Luxembourg a natural choice for locating new businesses and maintaining access to the European financial markets. 1 Frank Mausen and Henri Wagner are partners at Allen & Overy SCS. 2 The current Constitution was adopted on 17 October 1868. 3 Commission de Surveillance du Secteur Financier. 4 The Prospectus Directive is progressively being repealed by Regulation 2017/1129 of the European Parliament and of the Council of 14 June 2017 on the prospectus to be published when securities are offered to the public or admitted to trading on a regulated market (the Prospectus Regulation). The main provisions of the new Prospectus Regulation will apply on 21 July 2019. 5 The reader should note that this chapter is not dealing with Regulation (EU) 2016/1011 of the European Parliament and of the Council of 8 June 2016 on indices used as benchmarks in financial instruments and financial contracts or to measure the performance of investment funds and amending Directives 2008/48/EC and 2014/17/EU and Regulation (EU) No. 596/2014 (the Benchmark Regulation) and Regulation (EU) No. 909/2014 of the European Parliament and of the Council of 23 July 2014 on improving securities settlement in the European Union and on central securities depositories and amending Directives 98/26/EC and 2014/65/EU and Regulation (EU) No. 236/2012 (the CSDR). 6 For instance, offers addressed solely to qualified investors, offers of securities addressed to fewer than 150 natural or legal persons other than qualified investors per Member State, offers of securities addressed to investors who acquire securities for a total consideration of at least €100,000 per investor, and offers of securities the denomination per unit of which amounts to at least €100,000. 7 Submissions of approvals must be filed in PDF format via email to prospectus.approval@cssf.lu. Other filings will need to be made to prospectus.filing@cssf.lu, whereas final terms must be filed via the platform available on https://finalterms.apps.cssf.lu/. Finally, queries about the Prospectus Act should be made to prospectus.help@cssf.lu. 8 Which may be accessed at http://shortselling.cssf.lu. 10 The Commission has made propositions for reforming the CRD IV Package. 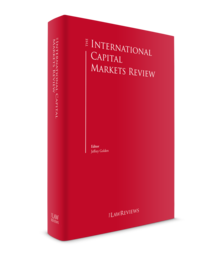 The CRR II (legislative proposal 2016/0360A/COD) and CRD V (legislative proposal 2016/0364/COD) proposals, aim, among other things, to implement the Basel III measures into EU law and the European Financial Stability Board's total loss absorbing capacity (TLAC) standard; but also to introduce new EU-specific norms, such as for instance the improvement of lending to small and medium-sized enterprises. 11 On 3 May 2017, the Commission adopted a legislative proposal for the review of the European Market Infrastructure Regulation. Some of the proposed amendments relate, among other topics, to the definition of financial counterparties, to the restrictions of clearing obligations, to changes to the clearing threshold for non-financial counterparties and to trade reporting. 12 Note that as of 1 January 2016, the minimum corporate income tax has been abolished and replaced by a minimum wealth tax that applies under similar conditions and amounts as the previous minimum corporate income tax. 13 Income tax law (loi sur l'impôt sur le revenu) dated 4 December 1967, as amended. 14 Section 29a of the Luxembourg general tax law (Abgabenordnung), dated 22 May 1931, as amended. 15 Grand Ducal regulation (règlement grand-ducal) dated 23 December 2014. 16 If a LuxSeCo is not liable to tax in Luxembourg, it will remain subject to a minimum lump-sum taxation. The minimum lump-sum taxation is also applicable to a LuxCo. 17 Base erosion and profit shifting. 18 Luxembourg Bill No. 7318 dated 18 June 2018. 19 Council Directive (EU) 2016/1164 of 12 July 2016 laying down rules against tax avoidance practices that directly affect the functioning of the internal market. 20 The Recast EU Insolvency Regulation applies to insolvency proceedings opened on or after 26 June 2017. Where insolvency proceedings were opened before 26 June 2017, the Original EU Insolvency Regulation applies. The Recast EU Insolvency Regulation entered into force on 26 June 2015, and the majority of its provisions apply as from 26 June 2017. 21 Insolvency proceedings concerning undertakings for collective investment in transferable securities (UCITS) as defined in Directive 2009/65/EC of the European Parliament and of the Council, and alternative investment funds (AIFs) as defined in Directive 2011/61/EU of the European Parliament and of the Council, are also excluded from the scope of the Recast EU Insolvency Regulation. 22 Questions on Single Market Legislation/Internal Market; General question on Directive 2011/61/EU; ID 1169, Scope and exemptions.